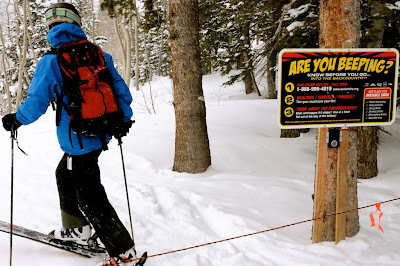 The Canyons keeps backcountry skiers well-informed and even tests their beacons as they pass through the gates. We were beeping and carried on to Lunch Run for some powder and to scout lines for a possible high ridge traverse in future days. 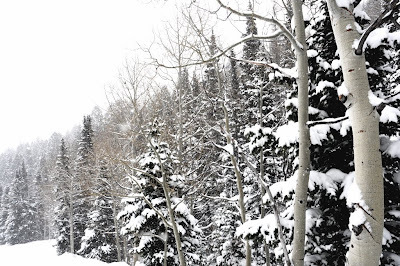 What are those smooth-barked, leaf-less trees amongst those evergreens? Aspens, I think. They certainly are smooth and I'm guessing there may be more as I find my way farther east.